The debut full length from Gold Coast duo CAKES boasts such influences as Drive Like Jehu, Queens of the Stone Age, Cosmic Psychos and Fudge Tunnel. To name a mere few - but to be fair, those are quite good examples to name check regarding Prescription Bugs. 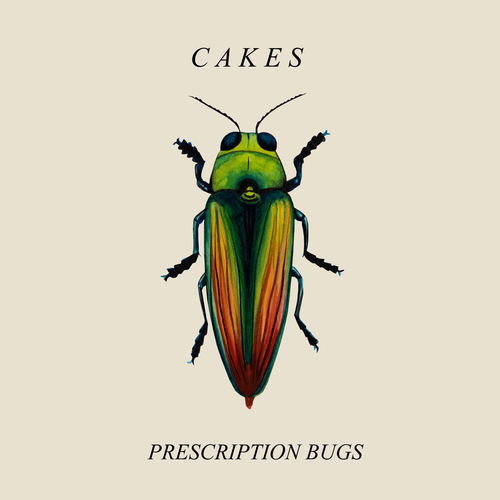 Recorded across 2017 at The Cakery and produced by the band themselves, Prescription Bugs fluctuates between post-punk noise and an what many could describe as a caustic komische musik - the driving guitar work from Jake with the robotic drumming patterns charted by Sam. In execution the sounds very much juxtapose the otherwise sunny disposition of such a touristy hotspot such as the Gold Coast; CAKES manage to convey both a cold, steely atmosphere with their album and yet an acid-laden experience interweaved within their symphonic clatter.